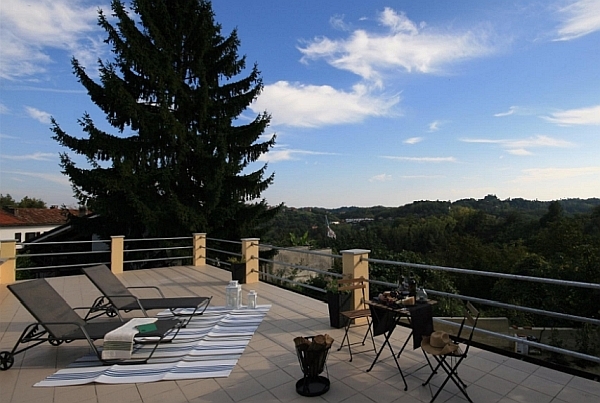 La Terrazza sulle colline is a B&B located in Azzano d’Asti, characterized by a large and beautiful panoramic terrace from which it is possible to admire the hills of Monferrato. 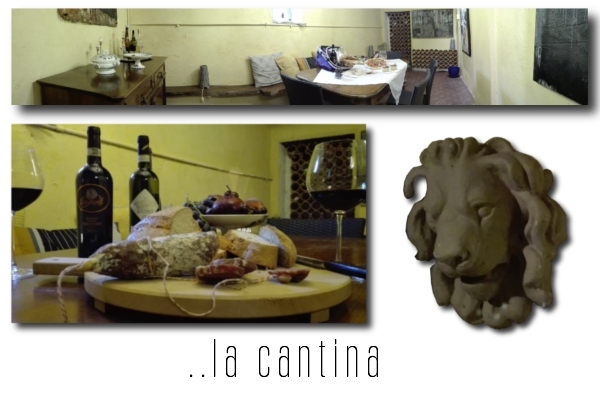 The B&B aims at unifying an intimate and cozy atmosphere with a contemporary comfort: in fact, this house of the nineteenth century has been recently restored. Two double rooms with private bathroom have a clear modern imprinting and are characterized by paintings and artworks of a known piedmontese painter. Breakfast can be served without time limits in the room or, at your choice, in the garden, in the terrace or in the characteristic cellar with brick archways. The B&B offers pastry, homemade jams, eggs, cheese and salami, accompanied by a choice of coffee, tea or cappuccino, yogurt and fruit. La Terrazza sulle colline is an ideal place for those who want stay in contact with nature and visit the surroundings without giving up the moments of relaxation and the possibility to do recreational activities inside the B&B. In addition, animals are welcome and can laze in the B&B while you are going to explore the surroundings.